The Saari Residence, maintained by Kone Foundation, is a residence located in Mynämäki, Southwest Finland, for artists of all disciplines and nationalities. The Saari Residence offers artists a peaceful working environment in the historical and scenic surroundings of an old, rural manor house, as well as excellent opportunities for interaction with other residents. The Saari Residence is located in a peaceful rural manor milieu, Saari Manor, close to nature yet just 30 kilometres from Turku. The versatile workspaces of the Residence and the historical and scenic surroundings of an old manor house offer an excellent opportunity to focus undisturbed on creative work as well as opportunities for interaction with other residents. The workspaces for artists at the residence are situated in the old stone barn, which also houses a dance studio, three different-sized studios intended mainly for visual artists, sewing machine and a woodworking shop. The spaces for literary work are located with the accommodations. Each artist or collective is allotted a private workspace for the duration of their residence. Some of the manor’s outbuildings can also be used as workspaces during summer. For details on availabilities at the Saari Residence, please see the information below. The barn at the Saari Manor has been renovated as a diverse workspace for various art forms. The building contains a dance studio, three studios for visual artists, sewing machine and a woodworking shop. The residence does not have a darkroom, media room or equipment for printing, pottery, graphics or textile work (apart from a sewing machine), but artists of these fields may apply for a residency period for the planning stage of their work. The workspaces in the barn are equipped with tables, and additional tables can be built on trestles. The workspaces do not include tools or equipment. Each workspace has an Internet connection (Ethernet). The Saari Residence does not have a Wi-Fi network. We advise guests arriving at the residence to acquire all needed materials in advance, as these are not necessarily in stock at the residence and because material costs are included in the monthly grant. Please contact the Saari Residence before your arrival for help in where to purchase any materials you may need. The Saari Residence decides on the use of the workspaces. Studio 1, the big artist’s studio, located in the barn, is bright and well suited to a diverse range of uses. The studio is equipped with a workbench, and trestle tables are available for assembly if needed. The studio does not contain tools or other implements, but is well equipped with both regular (220 v) and high-voltage electrical outlets. There is also an internet connection. As with all the other parts of the barn, the artist’s studio is lit with daylight bulbs, providing a natural effect that does not cause eyestrain. The studio is south-facing, with the deeply recessed windows (120 cm) providing soft lighting by preventing sunlight from shining directly into the building. The studio has two water outlets, one of which includes a lavatory. The studio has a concrete floor with a light green moulded plastic surface. Studio 2, the artist’s studio, located in the barn, is bright and well suited to a diverse range of uses. The studio has one water outlets, one of which includes a lavatory. The studio has a concrete floor with a light green moulded plastic surface. Studio 3, the smaller artist’s studio located in the barn is bright and well suited to a diverse range of uses. The studio is equipped with a workbench. The studio does not contain tools or other implements, but is equipped with an internet connection. The studio is south-facing, with the deeply recessed window (120 cm) providing soft lighting by preventing sunlight from shining directly into the building. The studio has a concrete floor with a light green moulded plastic surface. The dance studio, located in the barn, was designed in co-operation with experts in the field. The studio has a sound system. The audio system is equipped with a Tascam CD-200i CD/MP3- player and possibility connect to computer. In addition, the system can be switched to 1 to 2 microphones. The audio system has been carried out with Electro Voice’s four top /midtone speakers, as well as two subwoofer. The dance studio is lit with daylight bulbs, providing a natural effect that does not cause eyestrain. The flexible floor provides a safe surface for dancing. 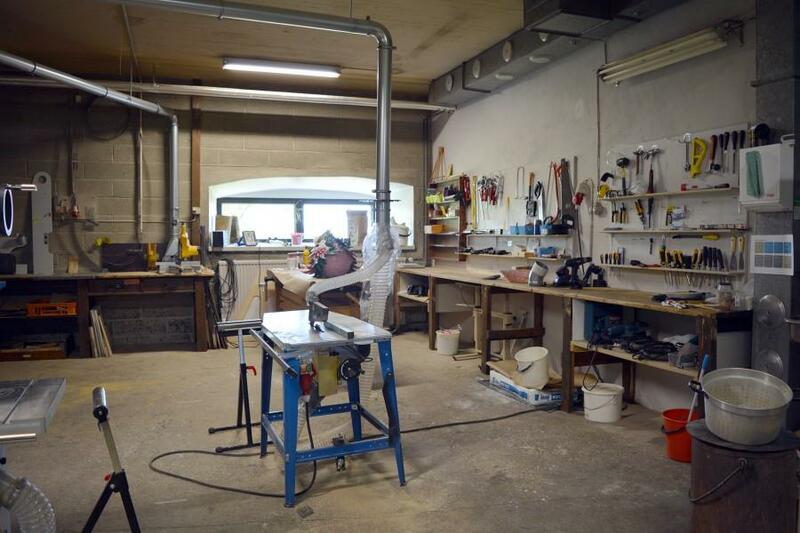 The woodworking shop, located in the barn, is a well-equipped workspace with all the basic tools and facilities required for working not only with wood, but other materials also. Due to safety reasons, we require that anyone working in the shop is trained in the use of machinery and attend a separate briefing before beginning work. The shop is also equipped with machining tools such as a large angle grinder and welding equipment, the use of which must be agreed separately. Guests have the opportunity to use the small sewing shop as agreed. The shop contains a sewing machine and three workstations. Groups working at the residence during summer months may also work in the unheated outbuildings. The machinery hall and Jacob’s barn (Jaakobinlato) are suitable for use by a circus or theatre collective, for example, and other outbuildings may also be used as shared work spaces. The residence staff will tour guests in the available facilities at the start of the residency period. The area is 23 m x 10 m.
There are 5 big double doors that can be opened. Door dimensions: 4 m x 3, 96 m.
Jacob’s barn is available only during summer time. Floor area 20 x 9 meters. In the middle of the barn, there is a balcony in the height of 4,5 meters from the ground. There are four buttresses under the balcony (wight apprx. 3,5 meters). The floor is raw wood plank. The door dimensions: 3,7 x 3 meters. We work under the assumption that residents bring their personal computers and devices needed for their work, such as cameras. Guests may also use the shared PC and printer-scanner in the barn. camera tripod (SLIK PRO 400DX) with pan-tilt and video head. Resident accommodation is distributed among the kitchen and staff buildings in the yard wings, and the farmhand’s cottage in the park area. The apartments vary in size. Larger apartments are intended for literary artists, researchers or artists with families. The farmhand’s cottage has a shared kitchen, and other apartments have a kitchen or kitchenette with basic amenities. Each apartment has an en-suite shower and toilet. For individual residency periods, the stay includes a monthly grant and a personal apartment and workspace, while groups may need to live in shared accommodations. The apartments are serviced biweekly by a cleaner, but we expect our guests to maintain general cleanliness, clean up after themselves in the shared spaces, and follow the provided instructions on matters such as recycling. The Saari Residence reserves the right to decide all living arrangements. The three-room apartment in the kitchen wing (79 m2) is intended for artists or researchers doing written work. The apartemet is accessible. 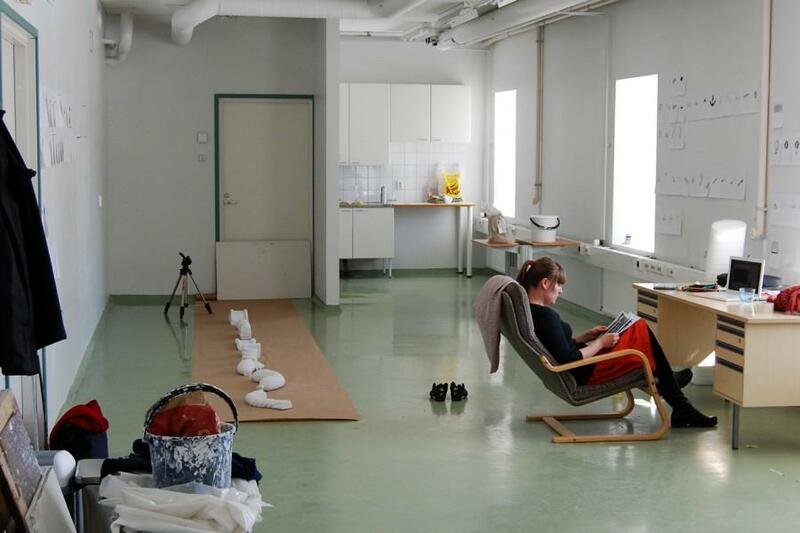 The bright single-room apartment in the kitchen wing (28 m2) is intended for artists or researchers who have a separate workspace at the Saari Residence. 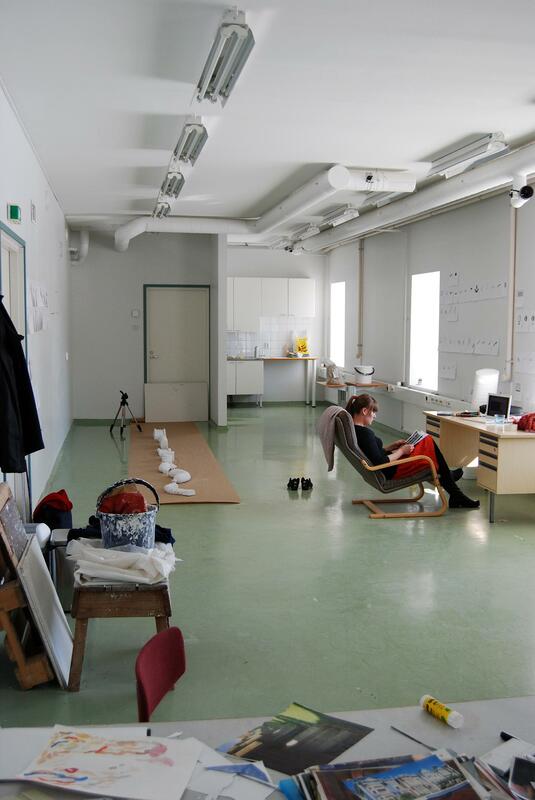 The small two-room apartment in the kitchen wing (21 m2) is intended for artists or researchers who have a separate workspace at the Saari Residence. 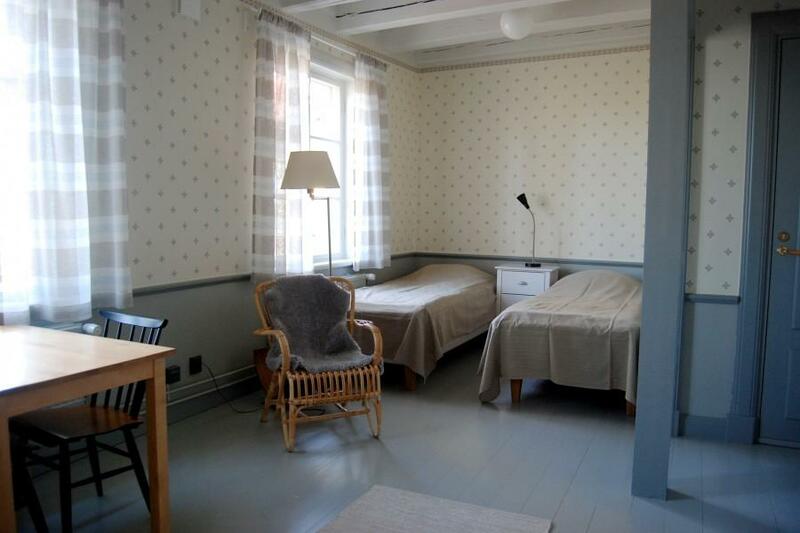 During individual residency periods, this two-room flat (59 m2) in the footman wing is used by the Saari Invited Artist. In the summer, the apartment is reserved for groups. The spacious two-room apartment in the footman wing (58m2) is intended for artists or researchers doing written work. The breakfast kitchen in the farmhand’s cottage is suited for cooking smaller meals. Residents of the cottage may use the kitchen to prepare small meals. In addition to kitchenware, it is equipped with a stove, dishwasher and fridge. The kitchen is cleaned biweekly, but guests are expected to tend to daily cleanliness, recycle waste according to instructions and load the dishwasher after meals. The larger two-room West-facing apartment in the farmhand’s cottage (32 m2) is intended for artists or researchers doing written work. The larger two-room East-facing apartment in the farmhand’s cottage (35 m2) is for artists or researchers doing written work. The smaller two-room West-facing apartment in the farmhand’s cottage (22m2) is intendedfor artists or researchers doing written work. The smaller two-room East-facing apartment in the farmhand’s cottage (25 m2) is intended for artists or researchers doing written work. We want to encourage interaction among our residency guests. For this reason, we offer various types of shared facilities for our guests. There are also lots of buildings and other unheated facilities that artists are welcome to use by agreement. The verdant park is popular among guests from the spring to the autumn. The cosy shared kitchen in the manor barn is a pleasant meeting place. The shared kitchen in the manor barn is intended for all residency guests. The cosy kitchen is equipped with tableware, a stove, oven, a coffee maker, an electric kettle, a dishwasher and a refrigerator. Cleaners clean the kitchen weekly, but guests are responsible for its tidiness on a daily basis. They are expected to load the dishwasher after meals, for example. The computer facility in the manor barn is intended for all residency guests. Designed by Jan-Erik Andersson, the barbecue gazebo – the Barbecue Lover’s Carousel Pavilion – near the barn is intended for residency guests and also serves as a place for meetings, reading and enjoying the view and as a sculpture-like landmark. Its shape was inspired by Andersson’s childhood memories of carousels and hexagonal dance pavilions and milk platforms in the countryside. Andersson has created a structure where coloured steel beams meet the materials and colours of nature. The roof is made of reeds, and the base was cast in holes that we dug around the gazebo. The floor has an ornamental pattern, Dance of the Soy Sausages. The wood-fired sauna by the pond in the park at Saari Manor is intended for residency guests. 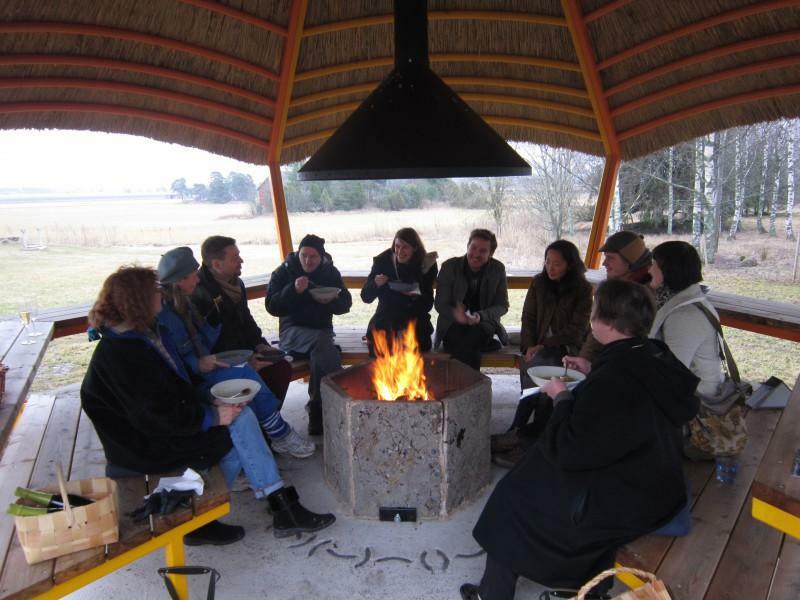 The guests are requested to work out a schedule: if a guest heats the sauna, they should also inform the other guests. Cleaners clean the sauna on a regular basis, but guests are responsible for ensuring its tidiness after use. The upstairs living room in the main building has a set of sofas, a meeting facility and a small library. The living room also has a TV and a CD/DVD player. Guests are welcome to use the living room from September to April. In the summer, the living room can only be used by agreement. The Saari Residence is located about 30 km north of Turku and about 3.5 km west of the grey-stone church in Mietoinen. The Saari Residence is an old manor house and its main building is situated in the middle of a lush, green park, flanked by two courtyard buildings, known as the Kitchen Wing and the Footman’s Wing. The three hectares of park area also include a sauna, granaries, a cowhouse, outbuildings and a small outhouse dating back to the early 19th century. Saari Manor is located in the middle of an open, level field on the eastern shore of the Mynälahti bay. River Mynäjoki flows on its south-eastern side. To the south and west the manor is surrounded by fields, to the north the area borders on a forest and to the east is the Saarentie road, on the other side of which are the manor’s old stone cowhouse, machine shed and a building for drying grain. To the south of the Saaren rantatie road, there is a large cart shed. The Saari Manor milieu is an important part of the country’s cultural history and one of the few remaining royal estates in Finland, known as kongsgårds, from when Finland was under Swedish rule. For a long time, as well as a royal estate, the manor functioned as a residence for officers. From 1959, Saari Manor housed the then Agricultural Research Centre’s test station for South West Finland. Kone Foundation bought the Saari Manor buildings and park area in 2006 and some of its fields and forest in 2009. The Saari Residence’s office premises for its staff are located in the main building. The residence’s apartments are located in the courtyard buildings close to the main building, known as the Kitchen and Footman’s Wing, and in the farmhand’s cottage near the barn. The residence’s workspaces can be found in the stone barn built by Aleksander Aminoff in 1858 and originally made for 100 cows. The late Gustavian main building of the Saari Manor dates back to 1779 but its cellars are thought to have been built as early as the 1560s. Designed by Christian Friedrich Schröder, the building is a typical example of the building traditions of the Gustavian period and, on completion, exhibited the architecture and fixtures of its era. The main building with its hipped mansard roof has retained its Gustavian appearance on the outside, but the interior rococo fixtures – including doors, wainscoting and mouldings – were entirely removed during a renovation in the 1960s. Despite these changes, the main building is an architectural monument and is protected by the Finnish Heritage Agency. This protection concerns specifically the manor’s external architecture, Schröder’s room layout (which is still intact) and the cellars. When Kone Foundation bought the mansion, the buildings were in excellent condition in principle but had been repaired for decades without any consideration for their value as cultural heritage. Kone Foundation decided to renovate the main building and restore it to its former glory. This extensive renovation was completed in 2008 and the residence activities were set in motion the same year. The main building houses the residence guests’ shared living room and a small library. The anteroom in the main building is where individual residence guests assemble for brunch every Tuesday, whereas weekly presentations and other events organised by the Foundation are held in the drawing room, ‘förmaaki’. The eastern courtyard building known as the Kitchen Wing was built at the same time as the main building. It is a log house with a purlin roof and an overhang corner and originally housed a baking room, kitchen and five habitable rooms. During a renovation by the previous owner in the 1960s, all its original mouldings and doors were removed. The building is protected by the Finnish Heritage Agency and must retain its 18th century appearance on the outside. Today, it houses three different-sized apartments for residence guests. The western courtyard building known as the Footman Wing is identical to the Kitchen Wing on the outside. Unfortunately, the 18th century fixtures of this wing were also destroyed during the renovation in the 1960s. The Finnish Heritage Agency has ordered that the outward appearance and structures of the building must be protected. The Footman Wing has two large apartments for residence guests. In the area between the Saarentie road and the park there is the Saari Residence’s old farmhand’s cottage where Metsähallitus (Forest Administration) used to maintain a small nature centre and exhibitions about the nature and wetlands of Mietoistenlahti. The building was renovated and fitted with four apartments for residence guests in 2009. The apartments have a shared kitchen. The small 19th century outhouse built from plank wood is slightly further away from the central group of buildings. Its architraves and window frames, doors and door panels dating back to the early 19th century have been perfectly retained. The entire building is protected by the Finnish Heritage Agency and is out of use. Saari Manor is located close to the shore of the Mietoistenlahti bay. Saari means “island” in Finnish and, true to its name, this was an island surrounded by the sea up until the early 11th century. As a consequence of the land uplift, however, it gradually merged into the mainland. The fields you see here today were once the seabed. Mietoistenlahti, into which River Laajoki empties, is the remotest corner of the Mynälahti bay, stretching far inland. On the eastern side you will find a small inlet formed by the River Mynäjoki delta. As part of the Natura 2000 network, Mietoistenlahti is also a Special Protection Area (SPA) for birds, as well as a nationally important nature reserve. Saari Manor is a built cultural environment of national importance and is also protected in accordance with the Antiquities Act due to its historical importance and cultural heritage. Situated close to Saari Manor, the Mietoistenlahti bay is one of the most valued waterways for birdwatching and an important resting place for migrating birds. Between the end of April and the beginning of May, there may be thousands of waterbirds resting in the bay at one time. There are three bird-watching towers in the area, two of which are located in Vasikkahaka. The trail to the bird-watching towers begins from the nature centre’s car park. A third, lower tower is located in Kuusto, and you can find it by following the signs from the Saarentie road. There is also a rock for bird watching at Sillankari. In the summer of 2018, a new barrier-free bird-watching platform and a culture trail to complement the nature trail were opened close to Sillankari. The nature trail runs from the car park by the Saarentie bird-watching towers and through the forest all the way to the Vasikkahaka bird-watching towers. Along the trail there are noticeboards with information about the area’s nature. Saari Residence is committed to taking care of the valuable cultural landscape surrounding the manor in accordance with the Finnish Heritage Agency’s instructions. In the summer, the Saari Manor area is also tended by sheep, while cows look after the meadows by the shore and the Natura area. In the vicinity of the Saari Manor there is also an old protected grove full of oak trees. Sustainability, environmental impact and accessibility are taken into account in all of the Saari Residence’s activities as far as possible. 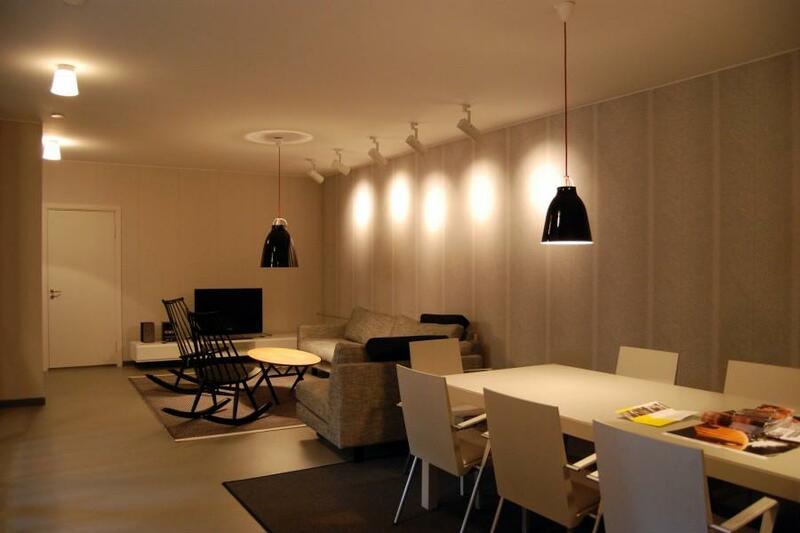 Almost all of the Saari Residence’s buildings and workspaces are heated using geothermal heat. We serve vegan food at our events and use ecological cleaning agents. We recycle the waste created at the residence in our recycling centre. We also recycle as much as possible in our workspaces and make sure that any washing liquids used to clean painting equipment, for example, are appropriately recycled. We offer our residents bicycles for moving about the local area. The Saari Residence’s building stock is protected by the Finnish Heritage Agency, and the manor buildings are cherished and maintained in cooperation with this agency in such a way that their culture-historical and architectural values are preserved. Kone Foundation is committed to taking care of the valuable cultural landscape surrounding the Saari Residence in accordance with the Finnish Heritage Agency’s instructions. We also encourage our residents to choose slower methods of travel where possible, i.e. to travel by bus, train or ship instead of by air. We recommend that work groups coming from further afield apply for a longer group residency. One of our apartments is barrier-free and has a kitchen, a barrier-free toilet and three rooms. The apartment is located on the ground floor and can be accessed by a wheelchair lift. In the next few years, we plan to make improvements to the workspaces in the barn to accommodate their barrier-free use. The main building is not accessible. We also avoid electromagnetic radiation: the residence is a low-radiation zone and free of wireless networks (WLAN, Wi-Fi). All Internet connections are wired (Ethernet). Mobile phones must be turned off or in flight mode in the main building and, if necessary, during gatherings of residents, as the use of mobile phones produces powerful radio-frequency fields. Otherwise, the main building is not barrier-free. If you are interested in applying for a residency at the Saari Residence, please CONTACT US to discuss whether we will be able to accommodate your special needs during your stay.